A movie titled The Great Gatsby is a movie directed by Baz Luhrmann which is adapted from a novel with the same title written by F. Scott Fitzgerald. The movie is narrated by Tobey Maguire as Nick Carraway who is explaining about his rich neighbor named Gatsby, staring by Leonardo DiCaprio. The story of the movie begins in the winter when Nick is being examined by a doctor for his alcoholism. He tells the doctor about Gatsby. Nick says that he never see Gatsby since he moved to his new rent house next to Gatsby’s lavish mansion. One day, Nick goes to his cousin’s house, named Daisy Buchanan who is staring by Carey Mulligan, to have a dinner with her husband named Tom who is staring by Joel Edgerton and her friend named Jordan Baker who is staring by Elizabeth Debicki. Suddenly, he says that he won’t tell the doctor about it and then the doctor asks him to write it since writing can bring Nick a solace. The doctor says that no one has to ever read it because Nick can burn it. He asks Nick whatever that makes him ease. When writing, Nick remembers a place called “valley of ashes” that he has been visited with Tom to visit his mistress named Myrtle who is staring by Isla Fisher. She is a wife of George Wilson who is staring by Jason Clarke. Then, Nick finds out that Tom has an apartment which is used to spend time with Myrtle. At first, Nick thinks that it is not true, so he decides to go but Catherine, Myrtle’s cousin, stops him and asks him to spend his time there. On the following day, Nick realizes that he is already in his house when he opens his eyes. Suddenly, he feels that Gatsby always watch him from his mansion. He more convinced with his feeling when someone gives him a party invitation from Gatsby. When Nick comes to the party, he asks people about Gatsby, but no one really see him. They even make many rumors of him, like he is a German spy during the war, a murderer, and many more. Unexpectedly, he meets Gatsby directly. He thinks that Gatsby has a special smile that no one has. One day, Jordan tells Nick that Gatsby wants him to invite Daisy on a tea occasion at his house. On the day, Gatsby realizes that both Gatsby and Daisy really needs to talk after five years of separation. He thinks that it is the second time for him to keep a secret of married people and their lovers. On the next party at Gatsby’s house, Daisy comes with his husband. Gatsby brings her to a place where they plan about their future. 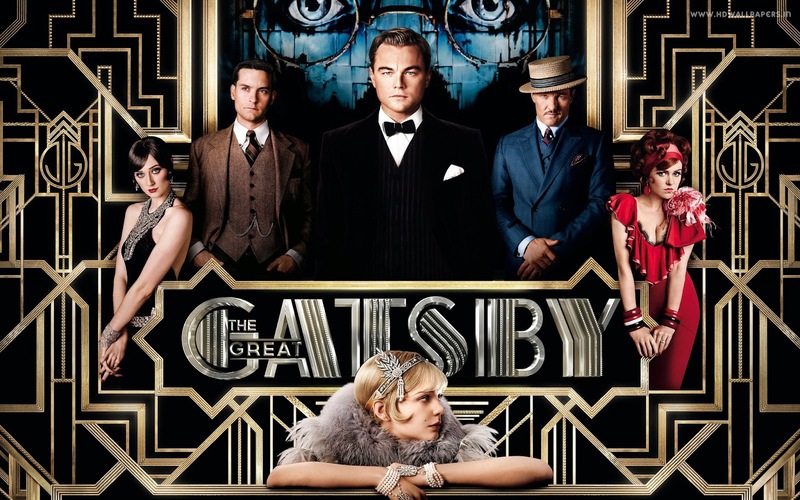 Nick warns Gatsby that he cannot repeat the past, but Gatsby asks Nick to accompany him to tell Tom that Daisy is leaving. On Nick’s thirtieth birthday, he, Tom, Gatsby, Daisy, and Jordan go to the Plaza. Tom is driving Gatsby’s car with Nick and Jordan while Daisy and Gatsby take Tom’s car. Eventually, Tom stops at George’s garage because the car is run out of gas. He knows there that George and Myrtle are moving west. At the Plaza, Gatsby tells Tom that she never loved him. It makes Tom angry and says that Gatsby gets his fortune illegally with a man named Meyer. Gatsby turns into angry and brings Daisy go by his own car. Unfortunately, at night, Myrtle is running toward Gatsby’s car because she thinks that Tom drives the car as before. She hits by the car and finally died. Seeing a crowd in front of George’s garage, Tom, Nick, and Jordan approach the crowd. Tom says to George that the yellow car that is trying to be approach by Myrtle belongs to Gatsby. When Gatsby is alone, Nick finds him. Gatsby tells him that it is Daisy was the driver actually, but he intends to take the blame. At that time, he also tells Nick about his real life and name. On the following day, when Nick is calling Gatsby, he hears two shots. He finds out that the first shot is a shot from George to Gatsby and the second shot is a shot that George turning to himself. Unfortunately, Daisy, Tom, and their daughter are leaving New York when Nick invites Daisy to attend Gatsby’s funeral. It finally makes Nick as the one who really knows the truth while media says that Gatsby had an affair with Myrtle and he killed her. The last scene is back to the time when Nick finishes his writing in the sanitarium and names it as The Great Gatsby. Have We Pray for Others?